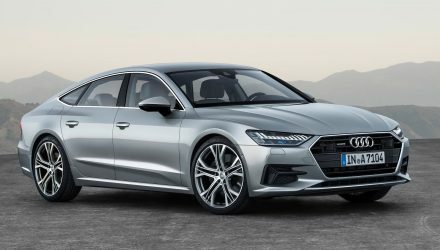 The 2019 Audi A6 has been detailed and fully revealed by the German brand after a leak of the exterior yesterday. 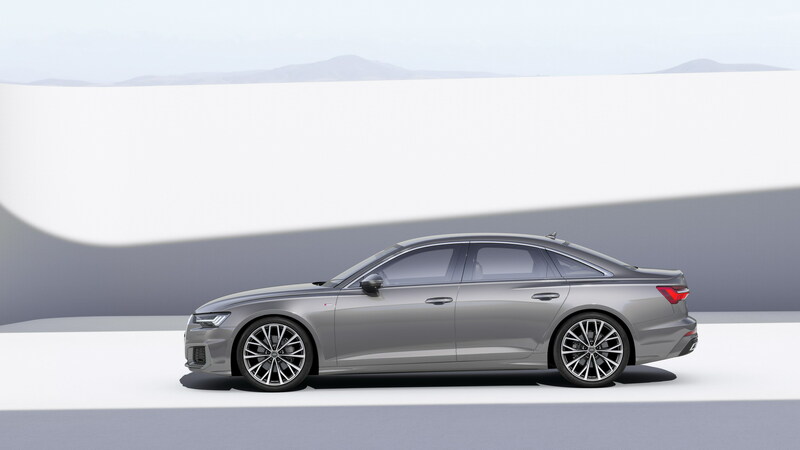 Now we have more details, including the dimensions of Ingolstadt’s latest large car challenger. 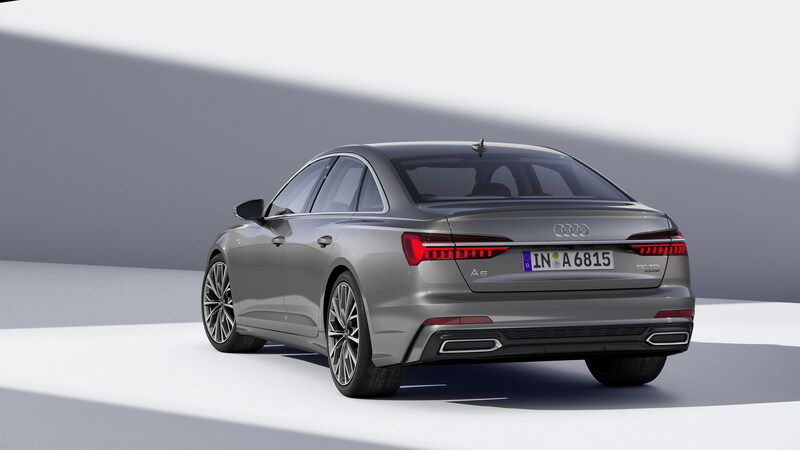 It is now 4939mm long, 1886mm wide, 1457m tall and rides on a 2924mm wheelbase. 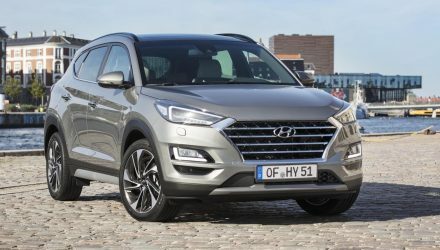 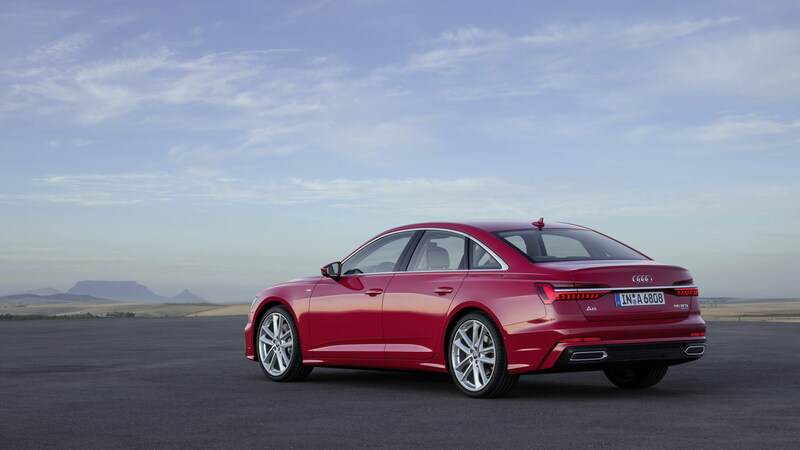 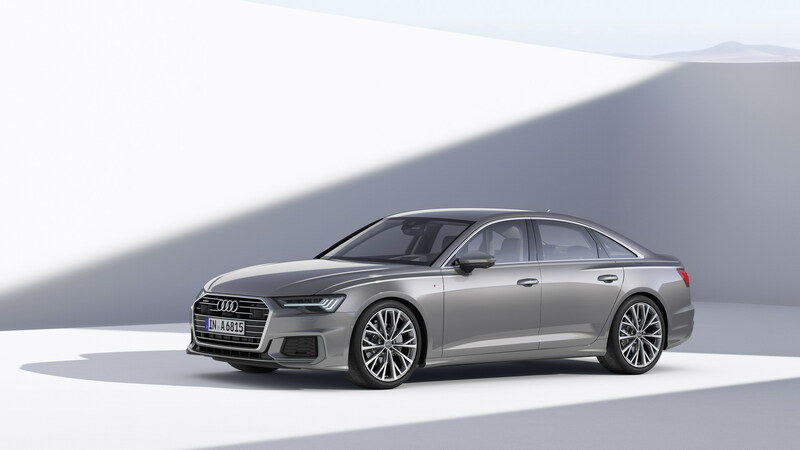 The result of this is more head and shoulder room, plus legroom in the back – particularly important for the Chinese market where the A6 sells strongly. 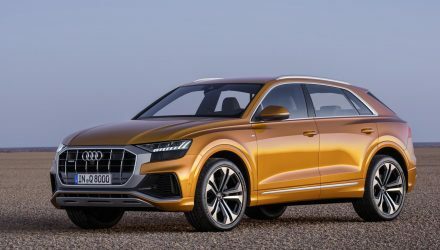 It will no doubt be supplemented by an A6L. 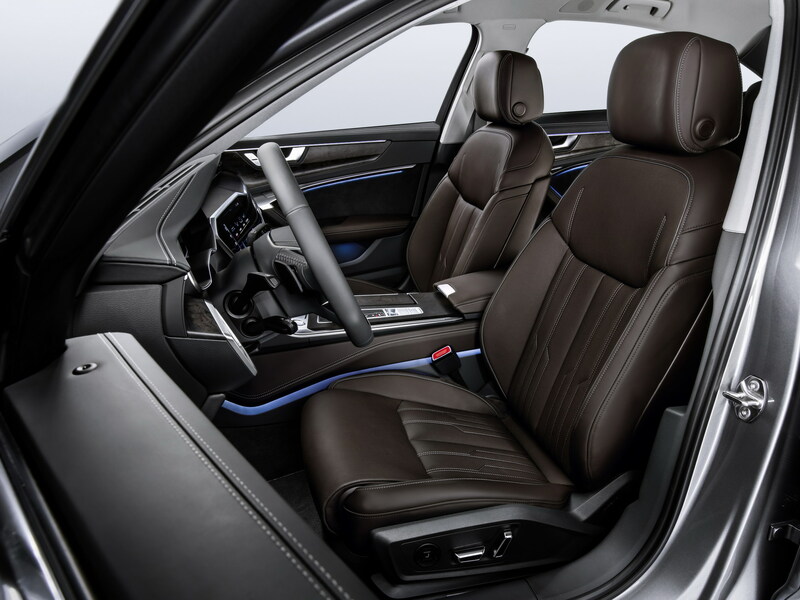 Comfort is further enhanced by newly-designed seats with heating and cooling functions as well as massaging. 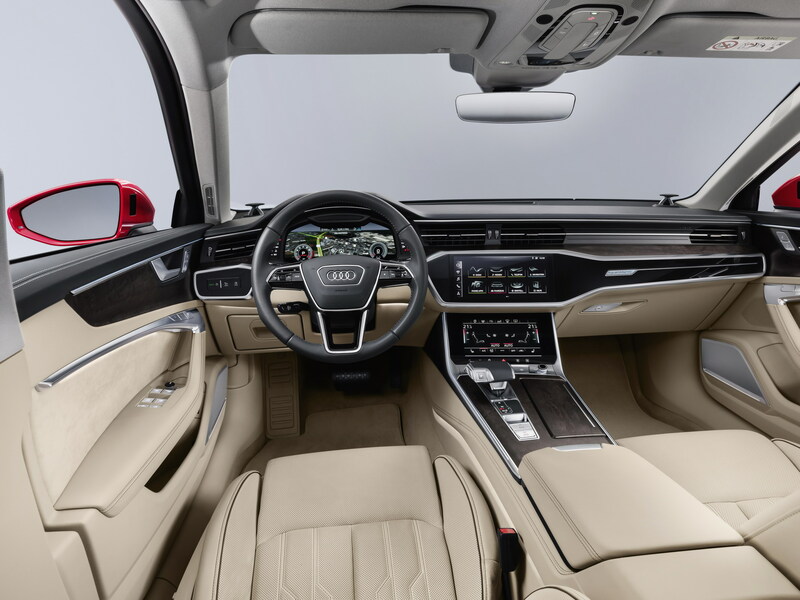 The interior largely mirrors the A7 in its primary design, which means a 12.3-inch screen for the instrument cluster, 10.1-inch infotainment touch-screen and a 8.6-inch climate control screen below it. 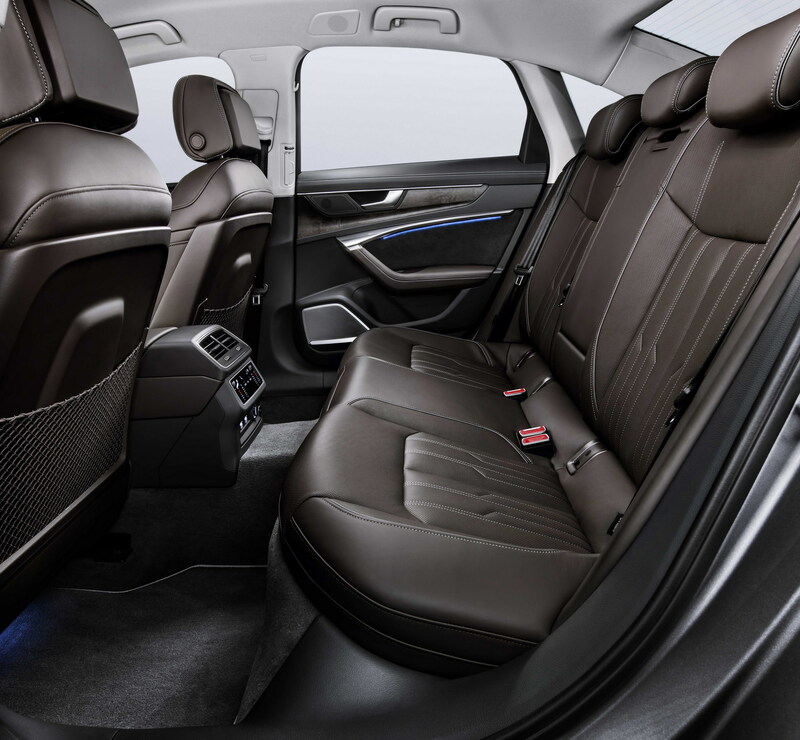 Available options include a Bang & Olufsen audio system, air ioniser, fragrance diffuser and panoramic sunroof. 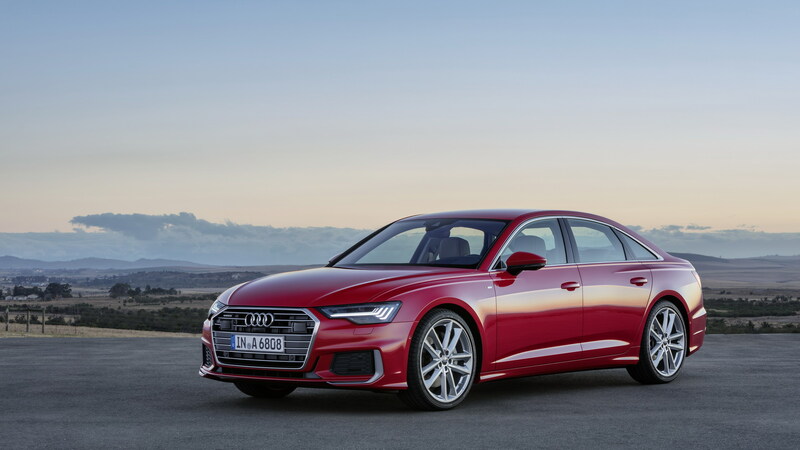 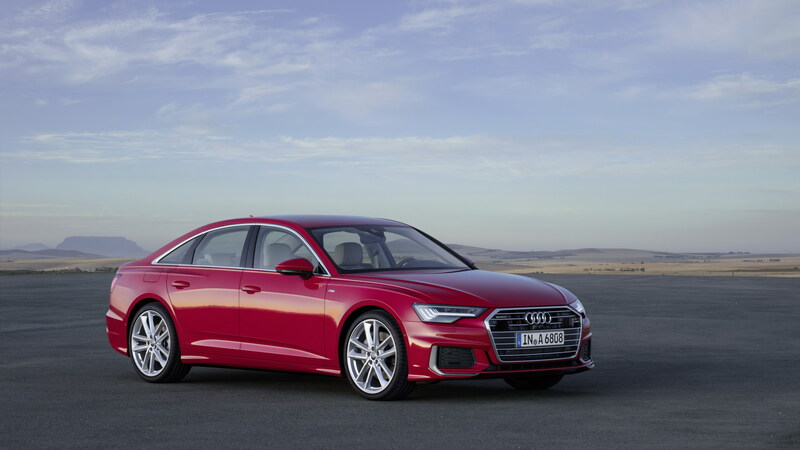 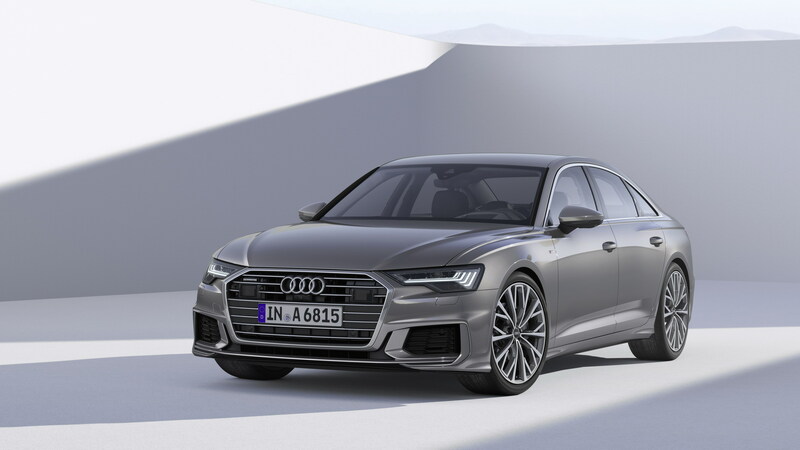 Initially, the 2019 Audi A6 will come with four engine options, two of which come with a 48V mild hybrid technology. 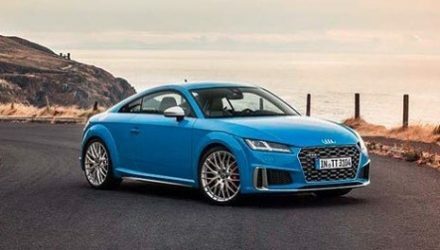 A petrol 3.0-litre TFSI turbo V6, which generates 250kW and 500Nm, is one of them, while a 2.0-litre TDI turbo-diesel is the other. 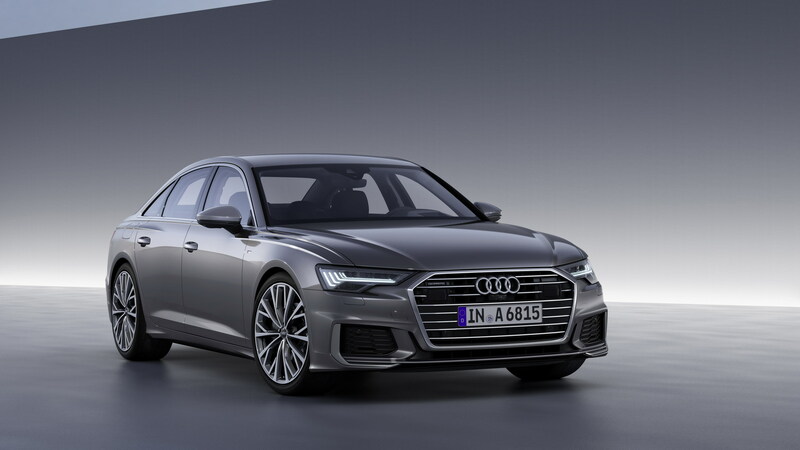 Also available will be a 210kW/ 620Nm 3.0-litre V6 TDI, which just uses a 12V electrical system. Audi says the 48V mild hybrid system saves 0.7L/100km and 10g/km of CO2. 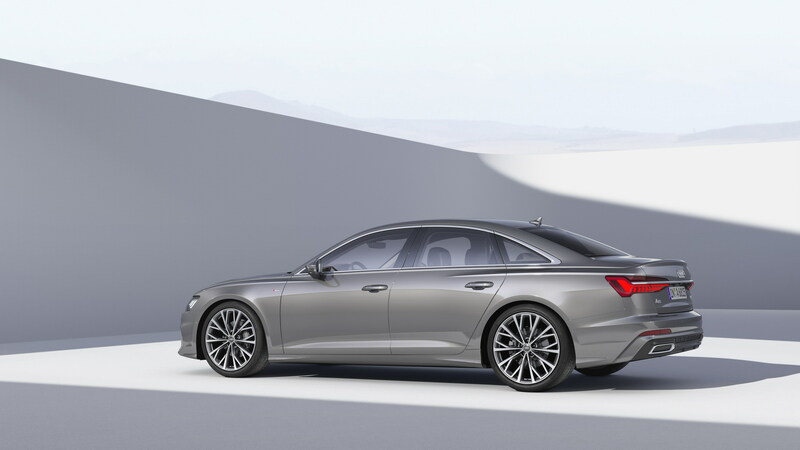 Later on, a plug-in hybrid will be offered, which, Audi says is a “bridge to electrification”. 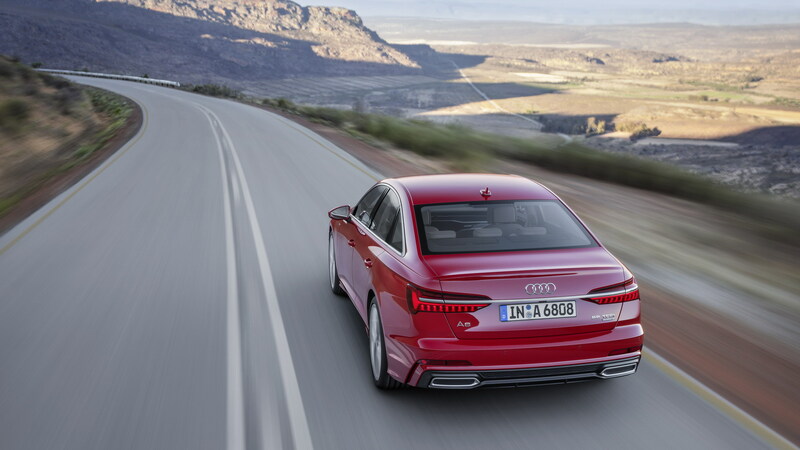 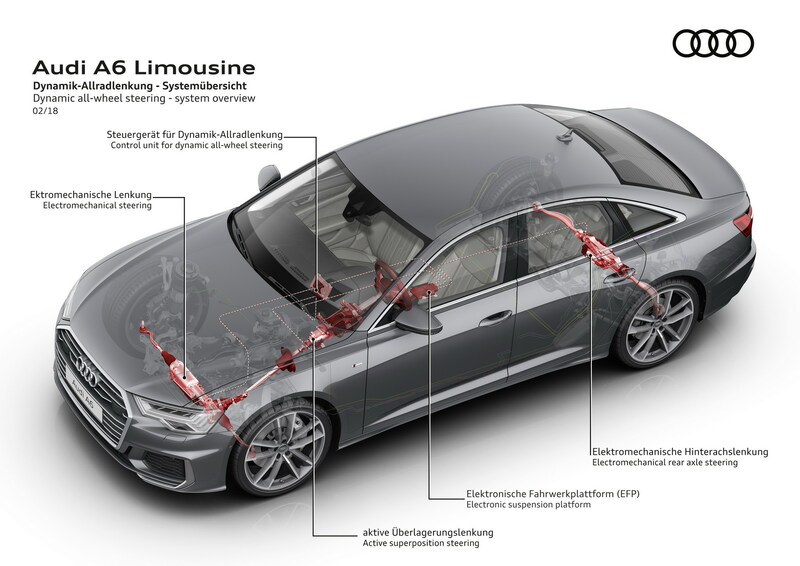 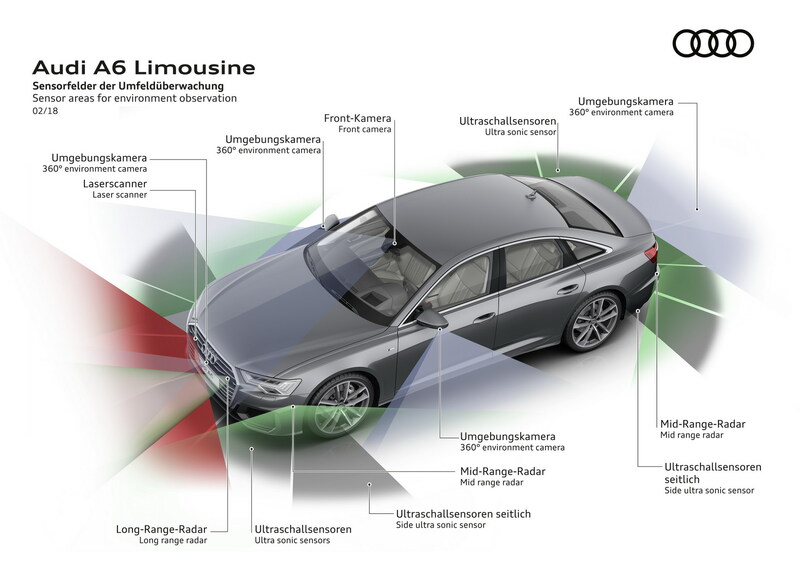 In its most powerful guise the new Audi A6 springs from 0-100km/h in 5.1 seconds on its way to a 250km/h top whack. 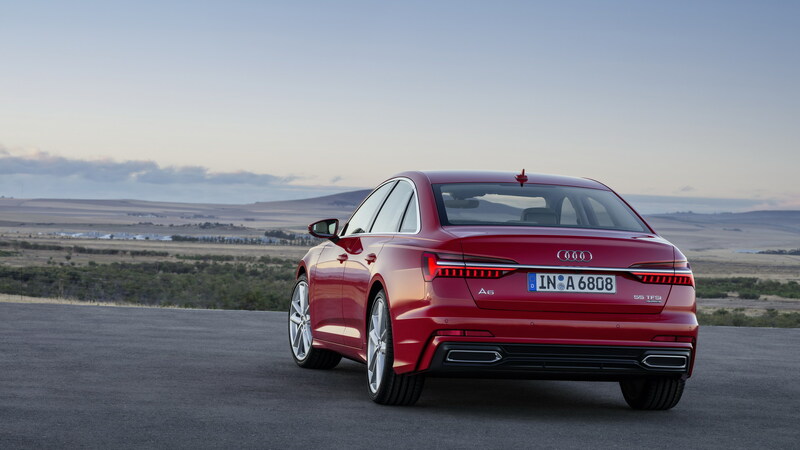 The new A6 will arrive in Australia before the end of this year, with a lineup of petrol and diesel engine options confirmed.